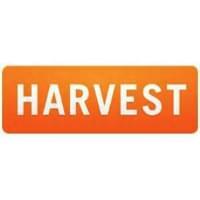 Harvest is a time tracking and time sheet solution with an intuitive interface. It works from the web, a smart phone, or an integrated application. Harvest also offers a button that can be accessed within a user’s app, or a widget to access the solution. Harvest contains a powerful reporting feature that allows for real-time access to aid in keeping projects on time and on budget. The reports can be used for the insight that helps with estimating future projects or to view profitability at any given point in time. Harvest goes beyond time tracking. It also includes expense tracking, allowing users to snap photos of receipts and store them within the program using iPhone or Android phone apps. The program also connects with over 70 business apps, from project management to accounting. Users can invoice and accept payments online with PayPal, Stripe, and other payment solutions. Harvest’s built-in reporting analyzes company data. It allows users to set hourly and fee-based budgets to track a project’s progress and run reports on billable and non-billable time for specific staff, tasks, clients, and projects. Users will have insight into current work, and historical records to see how to improve in future projects. Expense logging, including the ability to tag receipts as billable or non-billable, and pull expenses into invoices, is another time-saving feature Harvest offers. Tracked time and expenses can be pulled into professional invoices to save time on manual entry. Customization is allowed for billing rates, automatic payment reminders, and online payment to allow for a quick turnaround. For more powerful resourcing features, companies can combine Harvest with other solutions. Harvest integrates with many popular software packages. Still not sure Harvest is right for you? Use our Product Selection Tool to compare other time clock solutions. Have questions? Call one of our unbiased Technology Advisors for a free consultation. Learn everything you need to know about Harvest. Our experts will reach out to you shortly.